Diabetic patients have an elevated risk to develop renal dysfunction and it has been postulated that altered energy metabolism is involved. We have previously shown that diabetic rats have markedly decreased oxygen availability in the kidney, resulting from increased oxygen consumption. 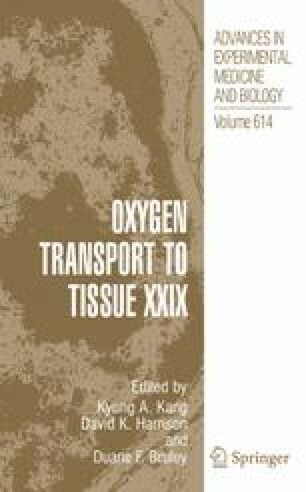 A substantial part of the increased oxygen consumption is unrelated to tubular transport, suggesting decreased mitochondrial efficiency. In this study, we investigated the protein expression of mitochondrial uncoupling protein (UCP)-2 in kidney tissue from control and streptozotocin (STZ)-induced diabetic rats. Protein levels of UCP-2 were measured in adult male control and STZdiabetic Wistar Furth as well as Sprague Dawley rats in both the kidney cortex and medulla by Western blot technique. Two weeks of hyperglycemia resulted in increased protein levels of UCP-2 in kidneys from both Wistar Furth and Sprague Dawley rats. Both cortical and medullary UCP-2 levels were elevated 2–3 fold above control levels. We conclude that sustained STZ-induced hyperglycemia increases the kidney levels of mitochondrial UCP-2, which could explain the previously reported increase in non-transport related oxygen consumption in diabetic kidneys. The elevated UCP-2 levels may represent an effort to reduce the increased production of superoxide radicals which is evident during diabetes.